Przewodnik przyrodniczy do poznania największej puszty Węgier (stepowych rozległych obszarów poprzecinanych wąskimi pasami lasów czy płytkich terenów podmokłych). Ptasi HOTSPOT na Węgrzech, miejsce odpoczynku żurawi, lęgowy areał dropia. The Hortobágy, the largest of the Hungarian Pusztas, is an immense plain with steppes and shallow marshlands, laced with forested river valleys. It is a birdwatcher’s hotspot, with impressive numbers of water birds and several species typical of the eastern European steppe. In autumn, tens of thousands of cranes flock together, creating what must be one of Europe’s top avian spectacles. 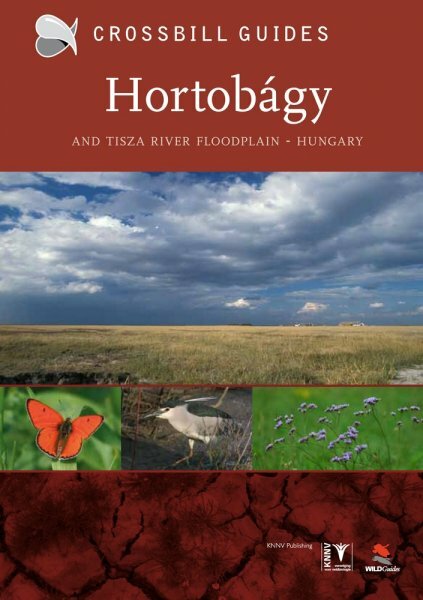 But the Hortobágy is much more than a bird oasis alone. As a flagship of both Hungarian nature and rural culture, the area has a unique value. Rare plants and animals live in the wavy grasslands. Traditional herdsmen and their grey longhorn cattle traverse the open plains where time seems to have a different pace. The Hortobágy is appealing for having that special peacefulness that is so typical of the eastern European countryside. Combine all these features and mix them with a fascinating ecology and ancient landscape and you know for sure you are in the Hortobágy, one of those European regions one simply has to visit. This nature guide is part of a series of innovative guidebooks for nature enthusiasts. The Crossbill Guides combine interesting and insightful ecological explanations with up-to-date and practical tourist information. Detailed descriptions of walking trails are conveniently linked to information on everything you want to know about the whats, wheres and whys of the splendid nature of the Hortobágy.